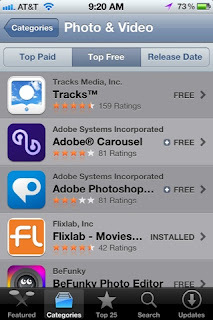 Flixlab an app that is like a free iMovie for your iPhone , that I previously reviewed, has been hard at work at making the service better. 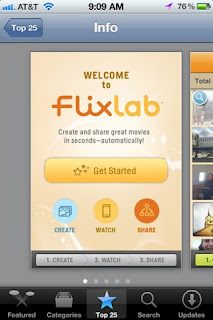 Flixlab also has some good social integration features for sharing your flix with your Facebook friends and other flixlab users . They fixed bugs and added new features . Mainly they worked on performance it seems , because it now works quicker and more reliably for me. It is also #113 Top Free USA overall . 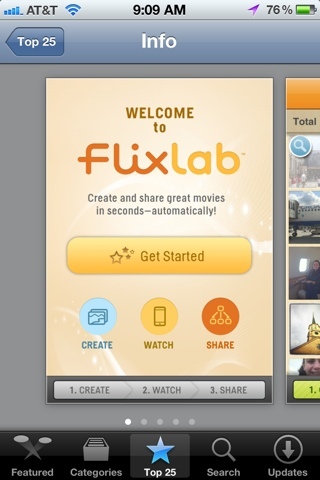 So go install Flixlab and make some sweet movies .